Just like the real game, only using musical dice. You will need to buy 5 small wooden cubes from a craft store. Using a Sharpie marker, draw an eighth, quarter, dotted quarter, half, dotted half, and whole note – one note per side on each of the 5 dice. Play just like regular Yahtzee, only using note values instead of numbers. For younger students, I often just use the top portion of the game. This is a fun variation of the game Candyland. 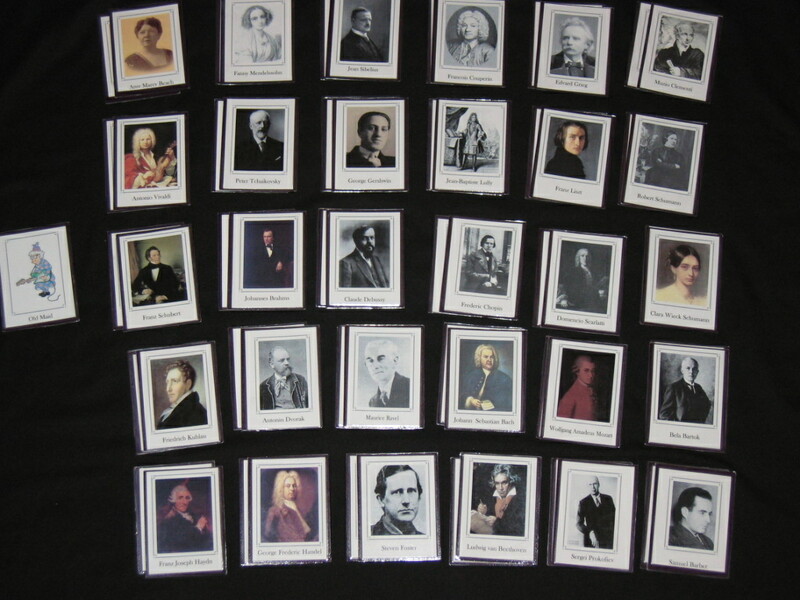 This great idea came from Rachel on the Yahoo piano teachers group. 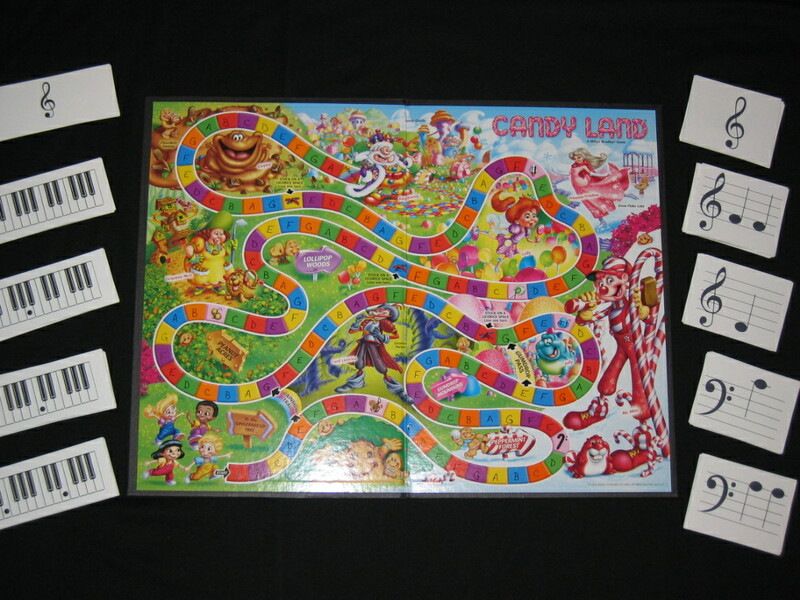 To make this game, you will need a Candyland game. On each square, write A, B, C, D, E, F, and G. On the pink candy spaces, draw a bass clef, treble clef, piano, forte, mezzo forte, and a double bar line. Draw a card from the pile, name the note, and move to the corresponding space. If you draw a card with double notes, you get to move double the spaces. Sometimes I will send this home with children who are struggling with notes, and tell them it counts as practice time. They love that, and come back the next week much better at their notes. I also made up cards that show the notes on the keyboard, so this game can be used when teaching that skill as well. Candyland Cards Set B Add this to the previous set, and you will have all notes from Low C to High C.
This was one of my favorite games when I was little. I just modified it to fit note values. To make this game, print out the spinner cover from the link provided. Cut it out and glue it over the existing spinner before attaching the spinner arrow. If you spin a quarter note, one cherry goes into the bucket. 2 cherries for a half note, and so on. If a quarter or half rest is spun, the appropriate number of cherries go from the bucket back onto the tree. It a whole rest is spun, all the cherries go back on the tree. 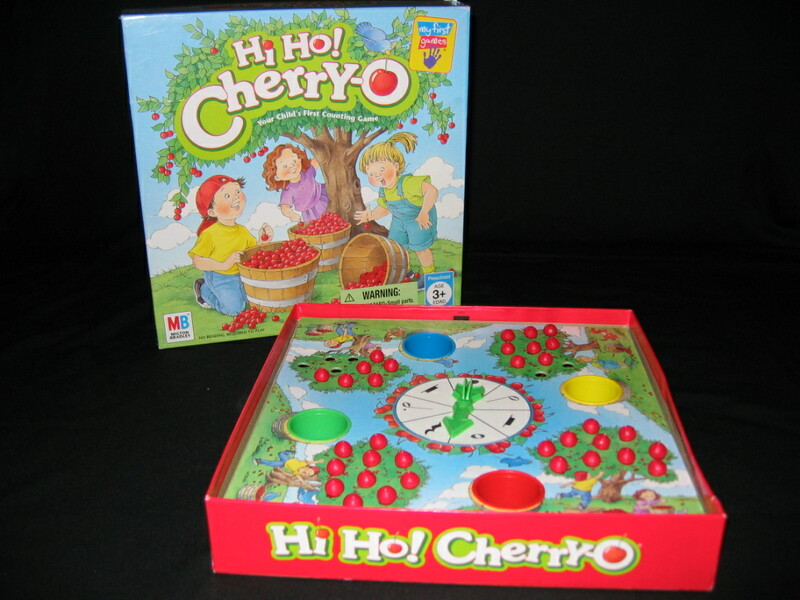 If time runs short, I will change the rules mid-game, and all cherries go into the bucket, even if a rest is spun.